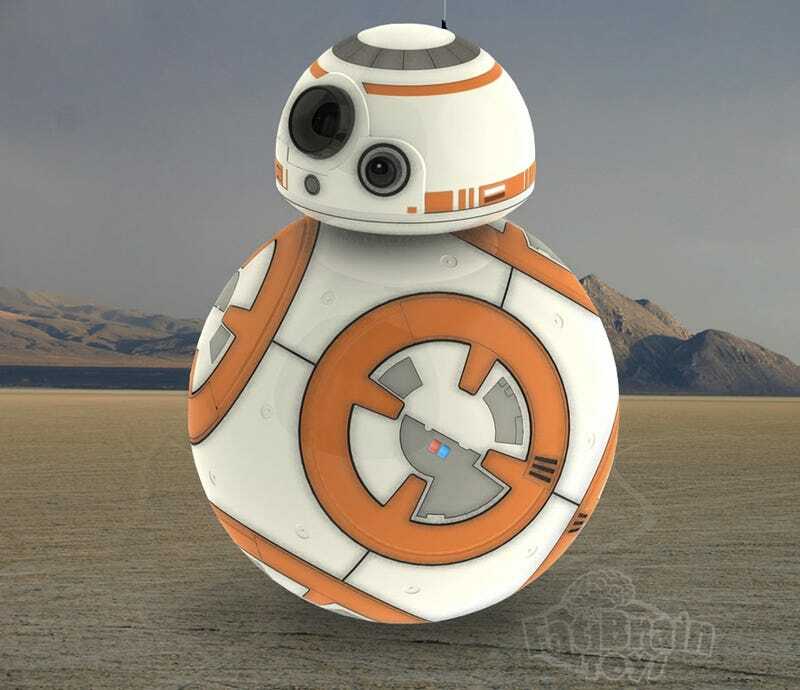 Is This Our First Look at Sphero's Official The Force Awakens BB-8 Toy? Thanks to an anonymous tip, earlier today we were pointed towards a listing on the Fat Brain Toys’ website for an official Sphero remote control BB-8 toy coming from Orbotix—the company behind Sphero, and the technology behind the actual droid built for the film. Shortly after reaching out to Orbotix’s representatives about it (who told us they couldn’t officially comment on the toy just yet) the listing for the BB-8 toy was removed from the Fat Brain Toys website. But we were able to screenshot the listing before that happened, and have included it here below. There’s not a lot of information on the BB-8 toy just yet—it’s listed at $150 but we’ve no idea how close it will function to the movie prop—but the listing did mention an availability of September 1 later this year. Update: It looks like that image of BB-8 was a placeholder been taken from a 3D model available for download on Thingiverse. However, the listing as screenshotted still appears to be accurate.